Description - Our Stone Flex tiles provide you with the look and feel of natural stone without the cold hard feeling natural stone can bring. Featuring several different stone patterns, these interlocking tiles are sure to add a level of sophistication to any room. 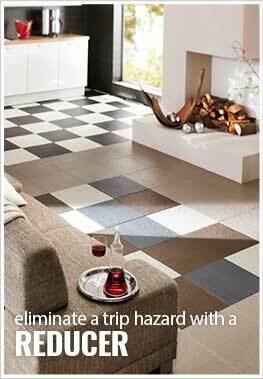 Since these tiles are an interlocking tile, installation of your new floor is a breeze. No need for grout or mastic, you can now spend less time installing your new floor and more time enjoying it. Not only is installation of your new floor simple and easy, it is also very easy to clean and maintain only needing to damp mop the floor with mild soap and water as needed. Our Stone Flex tiles have also been built to last and are backed by a 10 year warranty ensuring your new floor will last for years to come. Recommended Uses – Stone Flex Tiles have been used successfully in both commercial and residential spaces and are versatile enough to be installed in garages, living rooms, kitchens, dining rooms, bedrooms, bathrooms, basements, dens, family rooms, rec rooms, playrooms, indoor patios, decks, and anywhere else a soft, warm stone floor is desired. Highly stain resistant and easy to install. 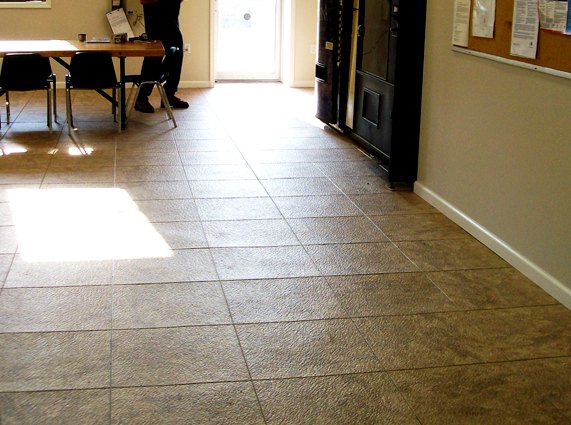 Grout line included to increase real look and feel of floor. Can this be laid over carpet? Our Stone Flex Tiles can be laid over commercial low pile carpet. Over high pile carpet, these tiles may separate due to compression of the carpet below. Do you have a companion floor in wood look that would snap together with the Stone Flex, using the same locking tab pattern, to create a smooth and seamless transition from room to room? We are building an ADA accessible apartment and we must not have any raised transitions, but we want to vary the flooring styles from stone look to wood look. Our Stone Flex Tiles can be combined with our Wood Flex Tiles to give you a stone/wood look on your floor. Is there a urethane or other coating on top of the vinyl on the stone flex tiles? Our Stone Flex Tiles have a two coat polyurethane wear layer which is five mils thick. Do you carry the door transitions? We do not have any door transitions for our Stone Flex Tiles. We do have rubber floor ramps that can be used at your doorway to transition from a higher floor to a lower one. If you install this in a basement, do you need to put a vapor barrier down first? 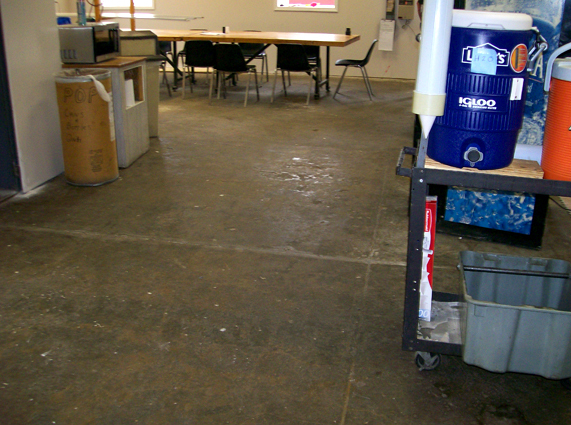 And, does the floor need to be leveled? 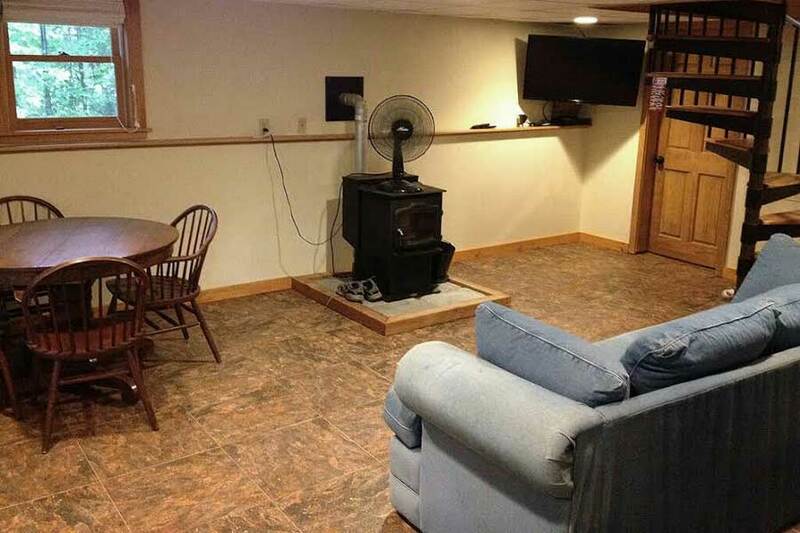 When installing our Stone Flex Tiles in a basement, a vapor barrier is not necessary. If you do have moisture issues, we would recommend sealing your concrete floor; This will keep salts, minerals, and moisture from collecting on the tiles. We do recommend that the concrete is somewhat level. 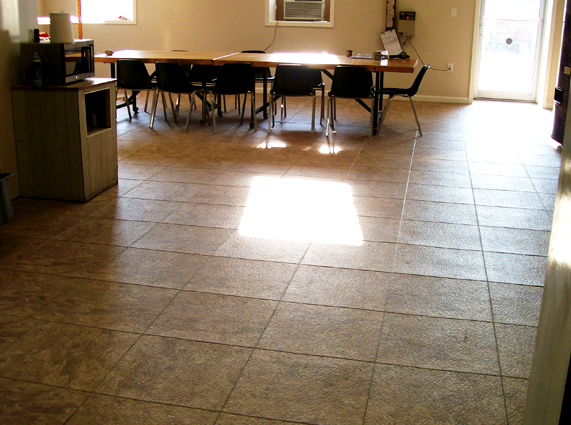 If there is some minor imperfection in the concrete, in most instances the tiles will lay perfectly fine. 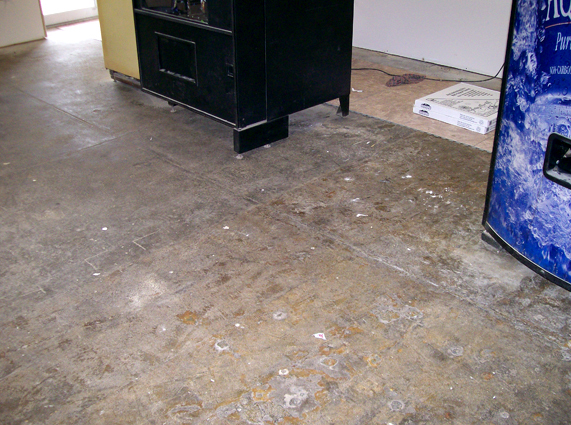 But if there are major imperfections, they will need to be addressed before installing the flooring. So being a 50 something dude, with some abilities and trying to be different than the usual homeowner i considered this flooring product. Yeah I'll admit Porcelin,Ceramic and other traditional flooring could have been used and is cheaper, outside the box was for me. I used this Tile in a Sandstone flex tile to match or fit in color wise with hardwood floor in adjacant room. Took off the wall moulding and went at it.Took my time and with plenty of razor blades and sore wrists and forearms it came out nice. Really nice. Under the stove,Refirgerator,dishwasher and even the mud room with washer and dryer. Liked it so much i bought more and did the guest bath,even replacing the toilet with a dual flusher. It came out nice with the paint job on the walls already there. As said pricey but if 10 years is the average warranity, this will properly be down and in good use for a long time. If a tile gets screwed up, peel it off and replace.Just get enough to have spares on hand. One thing to watch for, is depending how you want the grain to run (if your tile has one)take from all the same box and move froma box to box. Don't scatter them out and grab randomly. tile went down in a 20x13 area in less than 3 hrs and looks wonderful recommended to my friends i see where one guy had issue with utility knife and blades used i used a pair of Wiss tin snips and it cut like butter even when i had to trim a couple of pieces, used a number 2 pencil to mark tile and it will wipe off with soapy water. 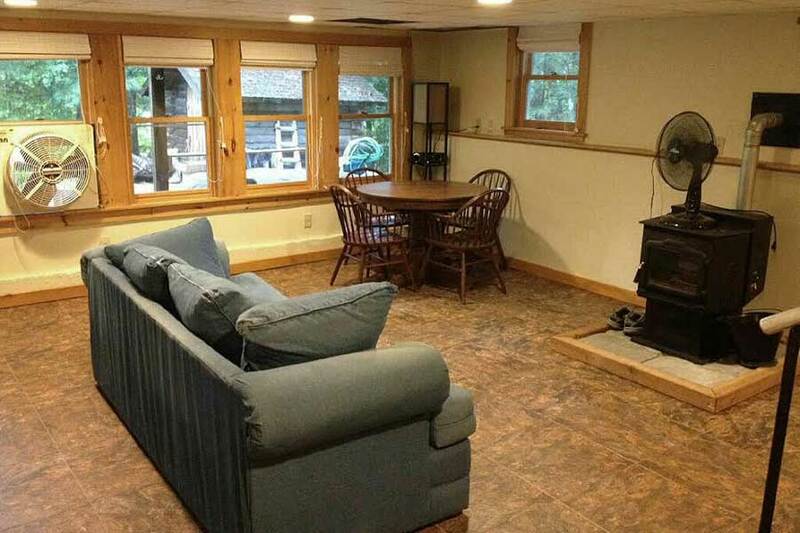 The walk-out lower level of our newly purchased lake home had Berber carpet. As direct entry from the water and Jacuzzi - that I did not consider practical or sanitary. We did many renovations to our new place and I did much research on flooring that could be easily installed, durable and suitable for being placed on cement flooring. 20x18 room installed in a few hours. Clicking together nicely. Hardest part was cutting the rubber product which I left for my husband. All pieces (even the small cut edging) held together perfectly. It has a nice honey-combed underside to lead the cement breath and is not hard on the bare foot like tile. I love, love, love it! And it looks great too.